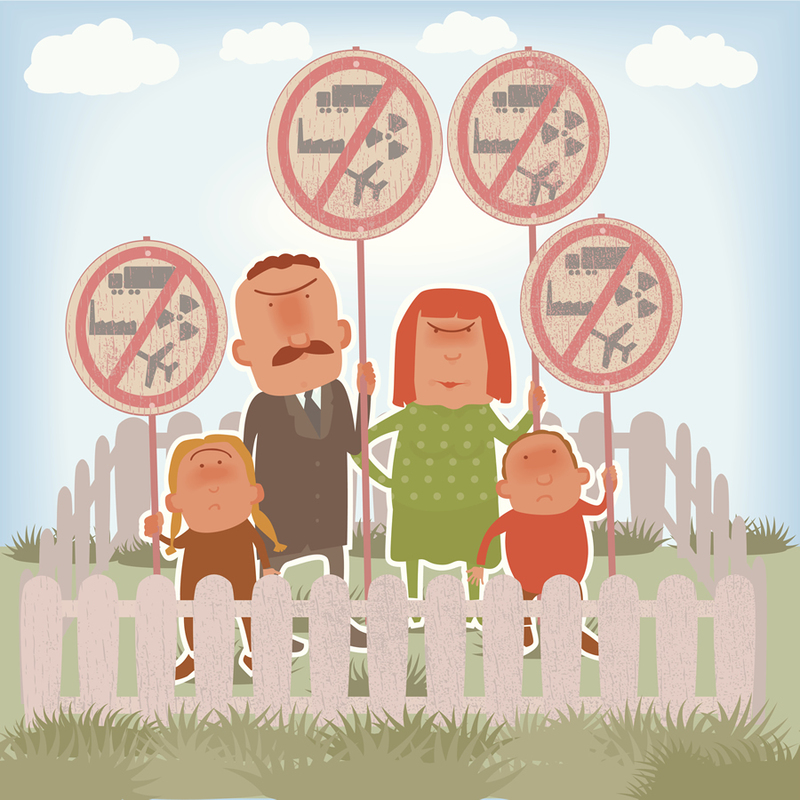 Proposals for new power plants or wind farms often face a backlash from the neighbors. There’s an old saying: Everyone wants to go to heaven, but no one wants to die. People have a similar attitude about energy production. Everyone wants low-cost, environmentally friendly energy. But people don’t want to look at transmission towers, pumping stations, power plants, substations, and wind farms. More than that, they don’t want any of these things located anywhere near them. We used to refer to this as the not in my backyard (NIMBY) syndrome. Today we have gone from NIMBY to NOPE (not on Planet Earth). 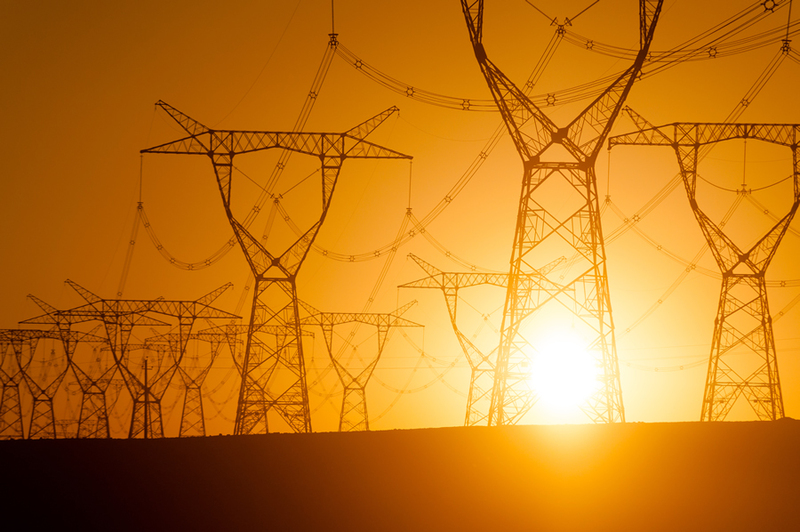 Transportation organizations face the same type of pushback as utility companies. Everyone complains about traffic jams; the lack of public transportation, flights, and access to ports; and the emissions from freight trains. Yet when a project comes along to provide relief, there is an outcry of opposition. Why are people so sour? Why can’t people simply understand that these things are good for them? The short answer is that in the vast majority of cases, these projects have had unintended consequences—many of them bad. The problem is that in the conception and design of these projects, the focus is on meeting the mission requirements (such as providing sorely lacking transmission capability, increasing throughput at a port, or relieving freeway congestion. Often the proponents don’t focus on the total impact on society. It’s only during the long and arduous permitting stages that objections are raised. Objections come from organized groups—some with political agendas and others with legitimate concerns. But the objections are not always well prioritized and are often incomplete. By the time the objections become known, the project proponents have already spent a fortune on planning, engineering, and conceptual design. At this point, careers are at risk. There is so much political and physical capital involved that the stakes are huge. The process then turns into a win-lose situation. If the project goes ahead, the folks with the objections lose. If the project is delayed or the mission never materializes, the proponents lose. Let’s face it: we need more transmission lines if we are ever going to leverage renewable resources in a big way. There are wind resources in the middle of nowhere that we cannot take advantage of because we can’t ship the power. We need better ways of managing our water resources. We have drought in one region at the same time that we have floods in others. We need more rail lines and better public transit. Web GIS can be used to study the potential impacts of a project. We need these projects, yet opposition is often too strong. How can we overcome this dilemma? There is no simple answer. But we can rethink the process. Conceptual designs for projects need to include much more information about potential impacts than ever. These impacts may be environmental, social, demographic, political, or technical. The best sources of information on potential impacts comes from maps. The good news is that, unlike at any other time in history, up-to-the-minute information is now widely available over the web. That’s the whole idea behind Web GIS. Users can instantly consume all kinds of map-based information in their own environment, instead of looking at dozens of disconnected maps, records, reports, and charts. Rethinking gets a whole lot easier. There are maps depicting nearly everything, from customer satisfaction, shifting population, and income to voting habits, floods, and weather history. You name it; there’s probably a map for it. The problem in the past has been that access to such maps was difficult. Not so today. With Web GIS, a map can be published in any field of interest. By using a simple concept called spatial analysis, GIS can take data from a number of maps so that analysts can compare it to discover patterns, identify potential issues, make the needed corrections, and do all of this well before a project is heavily invested in. 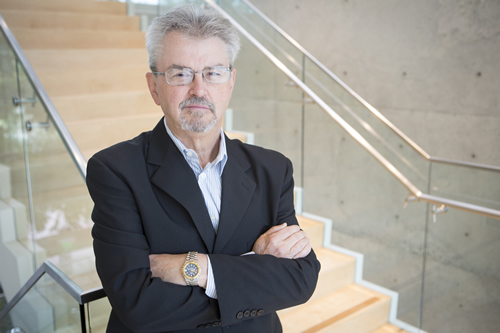 Bill Meehan is Esri's utility solutions director. What we really need is better insight. 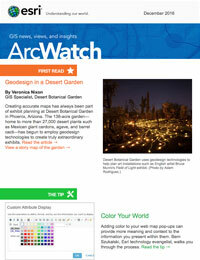 As part of ArcGIS 10.5, there is an exciting new product called, conveniently, Insights for ArcGIS. Insights for ArcGIS creates an environment for exploring all kinds of impacts, using readily available map data from the web. Planners, operations people, and governments can quickly gain greater insight from their data. All kinds of data. From real-time and predictive data to social media—you name it. The idea is that the different communities can come together to gain a mutual understanding of the potential risks and rewards of an undertaking—well before people would otherwise start picking sides. Consider this simple example of how a lack of information sharing can cause problems. Suppose an electric company wants to build an extension of an overhead pole line. The utility checks for any potential issues but finds none. So it digs the holes for the poles. In the meantime, the local conservation commission is completing a vegetated wetland survey of the same area. The survey shows that the wetland delineation has increased, which means the pole locations are now within the wetlands. As a result, the electric company has to relocate the poles or replicate the wetlands—and the company will probably pay a fine as well. And, of course, a story about this whole mess ends up in the local newspaper. Instead, what if the conservation commission and the electric company published and consumed each other’s web maps? Then, if the electric company’s designers attempted to design a new pole location within the wetlands, the company’s GIS would set off alarms, preventing any holes from being dug and the company executives from being forced to show their red faces in the local news. GIS isn’t just about making maps. It’s about sharing actionable information, providing analysis and insight, and enabling better decision-making in order to mitigate unintended consequences. GIS is about sharing, communicating and collaborating—like social media—only the media is in the form of a map. Bringing GIS-based map data in during the conceptual design process helps planners uncover things they might never have otherwise seen or considered in the design. It helps them model consequences. It helps them provide the best project to support the mission, helps society fully understand the project’s impacts and benefits, and significantly increases transparency. For more information on how companies managing infrastructure can gain better insight using GIS, visit Esri’s Operational Intelligence web page. 3D GIS Is "Visually Stunning"